Chief of Army Staff, Lieutenant General Tukur Buratai, has once again warned Army personnel to steer clear from politics. 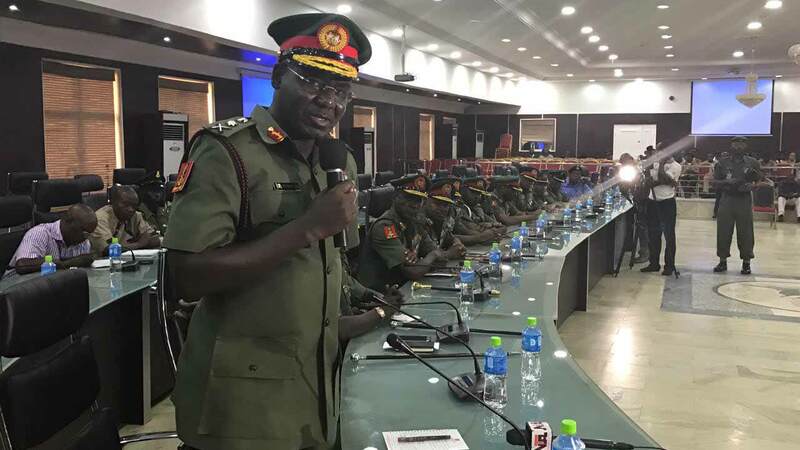 Buratai spoke when he declared open the 18th Conflict Management and Peace Support Seminar of the Nigerian Army College of Logistics (NACOL), in Lagos on Monday. He called on commanders of the force, at all levels, to provide the requisite leadership and ensure their personnel are reminded to uphold military professionalism. He bemoaned the clash between herdsmen and farmers in the Middle Belt areas of the country, which had led to lost of lives and valuables, assuring that the army willcontinue to play its role in resolving the conflict and put in place measures for the safe return of displaced farmers to their homes and farmlands. Buratai further assured that the army would continue to uphold the tenets of democracy, comply with rule of engagement and code of conduct during any military assistance to civil authority. While lamenting the herdsmen and farmers clash in the North Central and North Western parts of the country, Buratai said: “These violent acts are not only undermining the capability of the government to protect its citizens, but has the tendency to affect food security in the country. He said the various security challenges confronting the country, such as Boko Haram insurgency in the North East, militancy in the Niger Delta region, kidnapping for ransom, cattle rustling and armed robbery have continually put the force on its toes. He, however, said the synergy between the army and other security agencies has facilitated prompt intelligence sharing, which led to recent successes recorded in operations Ex Ayem Akpatuma, Ex Sharan Daji and Coin, against Boko Haram. Earlier, Commandant of NACOL, Major General Richard Duru, also lamented the numerous security challenges the country had faced and efforts made by the military and security agencies at containing them.